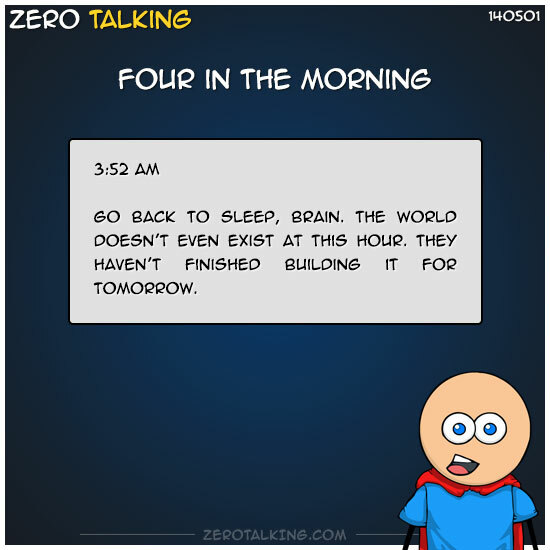 Go back to sleep, Brain. The world doesn’t even exist at this hour. They haven’t finished building it for tomorrow.